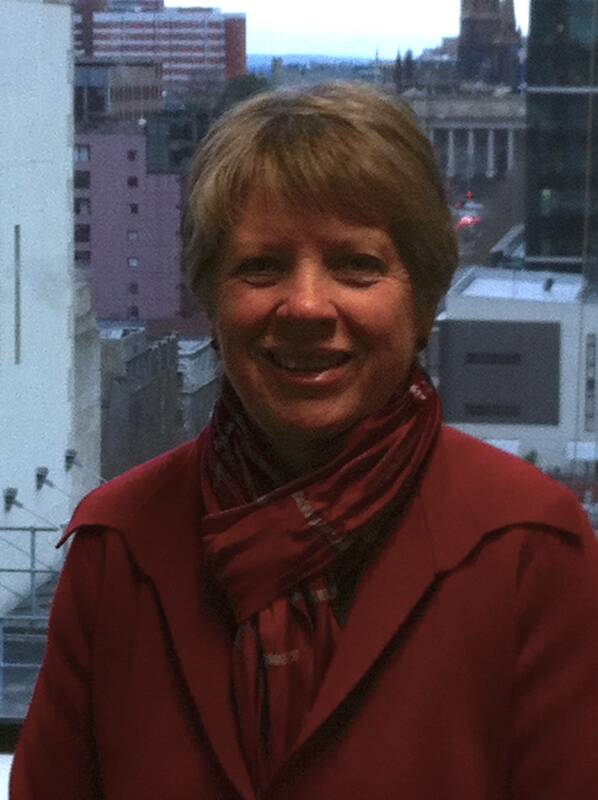 Congratulations to Dr Sue Reynolds, winner of the DREaM conference international travel bursary. Sue is Senior Lecturer in Information Management and Program Director in the School of Business IT and Logistics at RMIT University in Melbourne, Australia. Sue will be participating at the conference on the last day of a two week European summer tour. During this she will be pursuing activities associated with her position as a Senior Lecturer in Information Management at RMIT University. Sue is looking forward to the DREaM conference because it will give her the opportunity to hear what is happening in LIS research in the UK. Just before her European tour she will attending a similar conference in Australia: Research Applications in Information and Library Studies 8, at the University of South Australia, Adelaide on 25th June 2012. These two research-focused events will act as bookends to other professional activities that Sue will be involved in while in Europe, all of which will inform her knowledge and understanding of the most recent research in the LIS discipline and enable her in turn to share this with students and academic peers in Australia. Attendance at both research events will provide a human link between them and extend the shared aims of each (that is, to bring together a network of researchers to foster informed and innovative research practice) beyond the borders of the UK and Australia. Sue hopes that being part of the DREaM conference might also facilitate collaborative research activities between international researchers from the UK and Australia, and perhaps beyond. If you would like to meet Sue at the DREaM conference, there are still places available. To book your place, please go to the DREaM conference registration page. The main aim of the DREaM project is to develop a formal UK-wide network of Library and Information Science (LIS) researchers and – as such – we are looking forward to bringing together the UK LIS research community at our events. We also recognise that the involvement of international participants in DREaM events will provide excellent opportunities for UK LIS researchers to strengthen their links with colleagues from beyond the UK. We are therefore pleased to welcome delegates from abroad to the launch conference, should they wish to participate. Indeed, you may have noticed that three of our speakers and facilitators are based outside the UK: Professor Blaise Cronin from the US, Professor Gunilla Widén from Finland, and Dr Dylan Evans from the Republic of Ireland. We are pleased to offer a free delegate place and a travel bursary of £100 to one of our international delegates at the DREaM launch conference at the British Library, London on Tuesday 19th July 2011. All interested in LIS research from countries beyond the UK – whether they be our close neighbours in the Republic of Ireland, or based at the other side of the world – are welcome to apply. The award will cover the conference fee, plus £100 to help with travel costs to the UK. The winner will be expected to source funding from elsewhere to cover additional expenses such as the balance on travel, plus subsistence and accommodation costs. The deadline for submissions is Monday 6th June. Applications will be judged by members of the DREaM project advisory board in the same week, and the names of the winners announced afterwards.